Portrait Workshop - website:www.portraitworkshop.com blog:www.caricature.com.sg: Another princess! 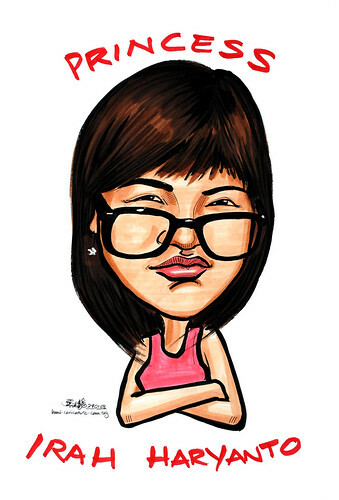 The big glasses + this cheeky expression made this caricature turned out different. Since this caricature is without theme, this princess has no tierra.